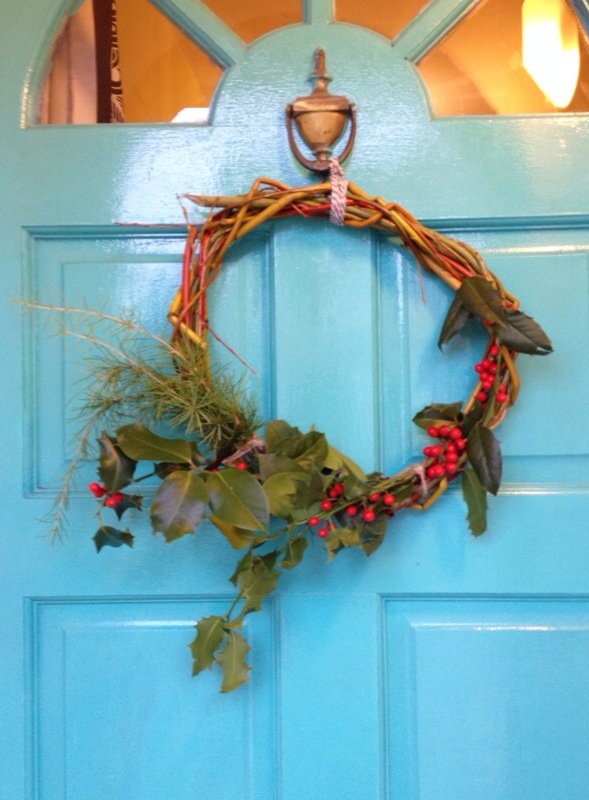 Our turquoise front door has got in the seasonal spirit. The wreath is made from willow, holly and a bit of spruce, all cut (with permission!) and made with my own fair hands. 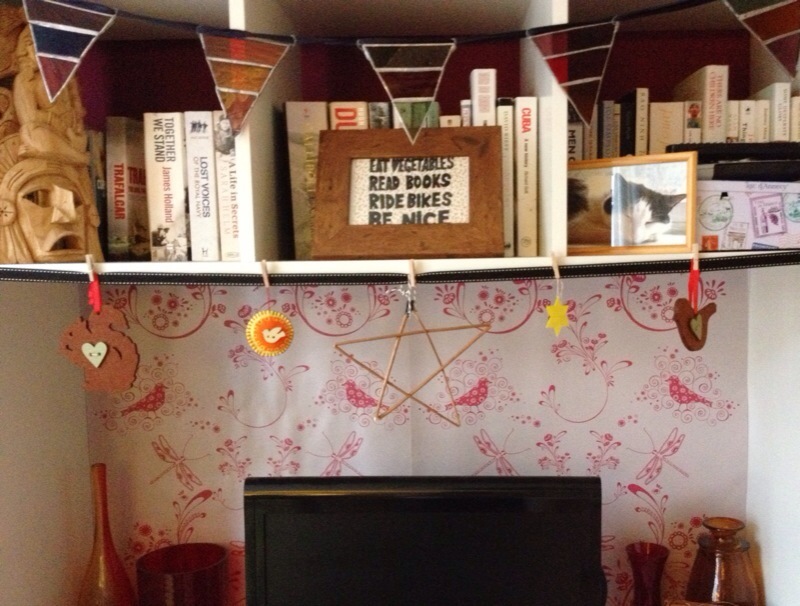 The result is something very ‘rustic’, but I’m down with all that this year. 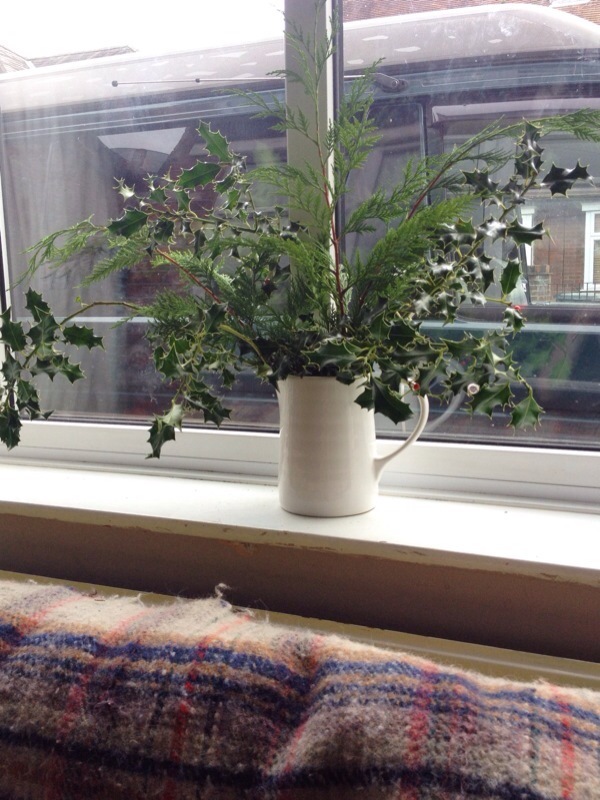 Talking of greenery, to celebrate the Solstice, the Tiny Overlord and I gathered some evergreens from the garden and proud displayed them in the front room. And we have received some really beautiful gifts, the centre three decorations all came from the Tiny Overlord’s playgroups. We’re really touched by how much love and care have gone in to them. Rather belatedly (or cleverly in advance of next year!) 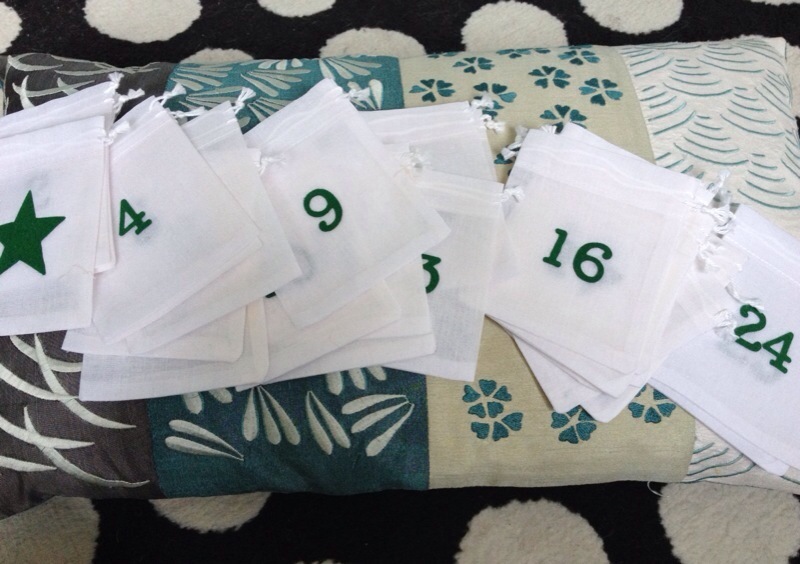 I’ve made some advent bags from simple small muslin bags (available in most cookware shops) and some iron-on appliques (ours are from here). Hopefully they’ll last us for many many Decembers to come. And even the Tiny Overlord has got in on the crafting action – His very first decoration, made from Salt Dough and painted all by himself, after he’d tested the paint by eating it, of course. Obviously I can’t yet share what we have made for presents for people yet. 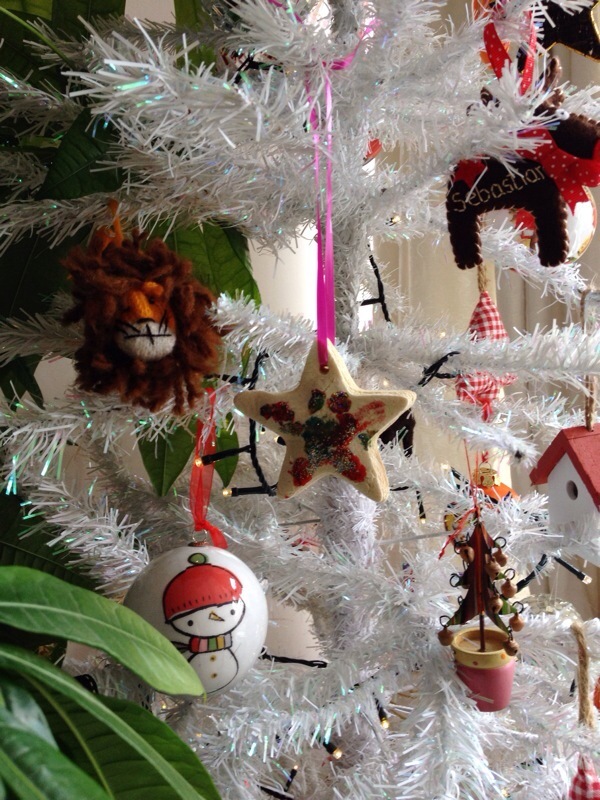 But if you need anymore festive makery, here are the posts from Christmas 2013 and Christmas 2012. And, of course, you can also keep up to date with our general makings on Instagram.